Ever wondered why Britain claims to be the market leader in counter-insurgency or, how this diminutive island-based state earned such a world-wide reputation for its ‘success’ in this intensely political category of warfare? When Aaron Edwards began research for this book in 2008 he was determined to try and find an answer to the question: if Britain was the ‘market leader’ in counter-insurgency, then why was its military doing so badly in Iraq and Afghanistan? An elementary proposition one might think, but he remained unconvinced that there was a deliberate strategy being followed, especially since many of the cases frequently mentioned in dispatches by military commanders were anything but outright ‘successes’. His scepticism soon turned to disbelief when he visited British forces in Iraq in 2008. There, the successful ‘charge of the knights’ operation had just broken the back of the militias in downtown Basra, but it could not hide the impression that the British were ‘losing’ and had now thrown their lot into drawing down their presence. When he returned from Iraq he began to question whether Britain’s armed forces were experiencing a case of déjà vu. British withdrawal from Palestine in 1948 and Aden in 1967 offered historical precedents more suited to comparison that the measured successes of Malaya and Northern Ireland. The more he spent time in the archives and the more he interviewed eyewitnesses of these small wars, the more it seemed likely that Britain had not been as successful, either politically or militarily, as some overenthusiastic and, ultimately, uncritical commentators had claimed. To be sure, Britain’s reputation vis-à-vis its small wars after 1945 has been somewhat mixed. 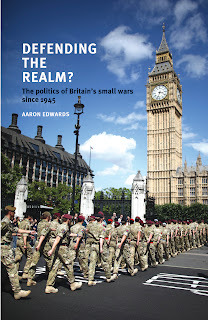 After several years of painstaking research across the United Kingdom and on the ground, Aaron Edwards has written an account of Britain’s small wars that highlights the political dynamics informing, constraining and enabling the employment of military force in ‘small wars’. He profiles the strategy-making processes at work amongst the politicians, civil servants and military commanders who orchestrated these small wars, from Palestine at the end of the Second World, through Malaya, Kenya, Cyprus and Aden in the mid-Twentieth Century and beyond to more contemporary conflicts in Northern Ireland, Iraq and Afghanistan. 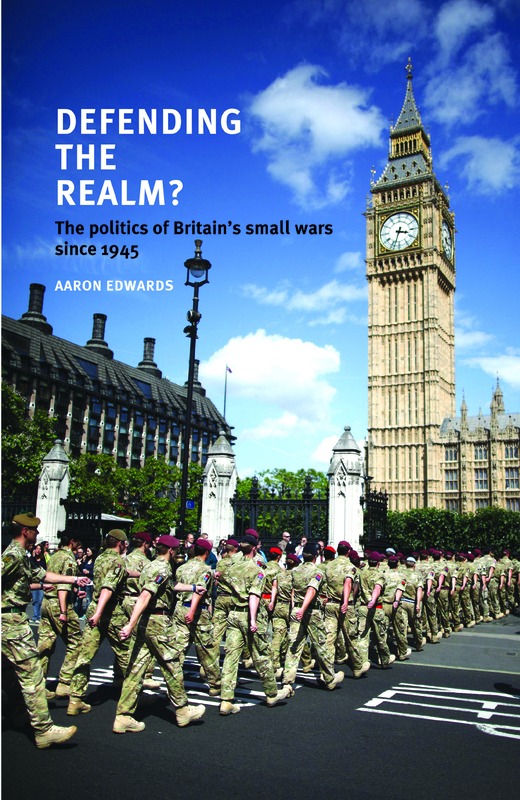 With a particular focus on Britain’s small wars since 1945, Defending the Realm? will be of interest to students and scholars of politics, military history, strategy and International Relations. Defending the Realm? will be launched at the annual PSA Conference in Cardiff on 26th March 2013. Category: History, International Relations, Politics	19 Comments.